This article gives the readers an overview of a Trommel, how it works, applications, advantages and disadvantages. Miners worldwide commonly use gold trommels. In a gold trommel, gold-bearing gravel is added to the hopper and it enters the rotating drum that further helps to break apart the material. It is used to help separate and classify out the material for further processing, so as to separate the smaller gold bearing material from the larger substrate like rocks, pebbles and boulders. These can be manufactured in any size to suit the needs of the miner. 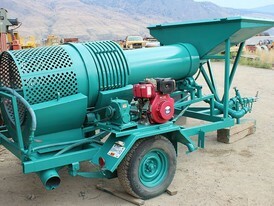 On larger operations, the trommel is generally incorporated into an entire wash plant setup. Generally speaking, to efficiently operate a trommel, two people are required. One person would feed material into the trommel and the other one would clear any discharged waste material so that more material can be fed into the machine. As mentioned above, Trommels are widely used in gold mines, since they are extremely efficient and very effective at recovering fine gold. The larger-sized models can handle impressive volumes of gold-bearing gravel when operating at peak efficiency. They are often powered by large diesel or electric engine. Let us understand in detail how a gold trommel works and how efficiently it can be operated. To begin with, once the trommel is set up, the motor starts rotating the cylindrical drum, the water sprayer also gets activated. Gold-bearing material is added to the hopper and the force of water washes it down or cleans it to break up the material and help separate the gold. The drum keeps on moving round and round. Any pieces of material (rocks and gravel) larger than the drum screen hole size are forced down the drum into the tailings bucket and out, forming a coarse tailings pile at the bottom of the unit. The rest of the gold-bearing gravel falls into the sluice box below, where hydraulic action helps to trap the black sands and gold while allowing the waste to flow out the lower end of the box into additional tailings (fine tailings). Here is when the other person cleans the sluice box. Finally, the concentrates are then run through a concentrator where the gold is recovered. apart any clays and dirt as the slurry moves through the drum. Some processes might require a grizzly prior to feeding the trommel in order to separate out the largest boulders. This depends on the quality of your trommel and the type of material that you are feeding into it. Some larger wash plants in large-scale operations have grizzly set up directly over the hopper when the material is added so as to increase the efficiency of the process. One must find a trommel which is easy to operate and is durable with low maintenance. Rotating Drum or Cylinder: Mounted at a downward inclined angle, the trommel drum or cylinder is usually constructed of high-grade aluminum, stainless steel, or expanded metal with screens in it typically running 1/4 inch to 1/2 inch. This kind of structure is considered most efficient for gold recovery. Small gasoline engines, batteries, electric motors, or large diesel engines are used to power the drum’s rotation. Diesel engines among these options are the most commonly used. 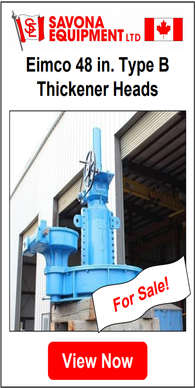 Sluice Box: The trommel sluice box is fitted below the rotating drum. The utility of a sluice box has been explained earlier. Hopper or "Feeder" Chute: This is a square or rectangular box attached to the upper end of the trammel is fed with auriferous material. Drum Side Panels and Tray: Panels play a very important role in the movement of the material. The panels ensure that the material does not fall from the sides of the turning drum and the tray pushes the gold-bearing material through the trommel screen holes in and downward toward the sluice box. Sprayer: Available in various forms, the most common type of sprayer is a length of perforated PVC or metal piping that is fixed in place near the top of the drum which is independent of the drum’s rotation. Its working is simple, water is fed into the piping via a pump and length of hose, or less frequently, by gravity. Tailings Tray or Chute: The tailings tray also known as chute is attached to the lower end of the trommel. They are positioned above the sluice box mount and flows away waste material from the drum and sluice box. Assorted Motors, Belts, Hoses, Pumps, Pulleys, etc. : These components are also essential in gold trommels and come in a variety of models. They are generally low cost and easy to maintain. In terms of Efficiency: A properly constructed trommel that is set up for peak operation are very efficient gold grabbers and helps in recovering extremely fine or flour gold in the micron range in a consistent manner. Ease of setting up: They can be set up anywhere near the source of auriferous material, where water can be fed into the drum unit and there is a power source to operate the unit. They can handle a wide range of materials including heavy clay content ores. 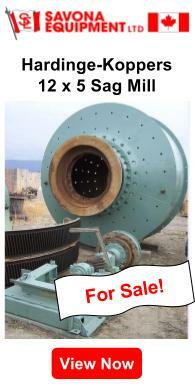 Handles high volumes: It can be used for feed sizes including large rocks. And can be built to handle a huge range of capacities, which can be fed by a single individual with a hand shovel up to 500 cubic yards per hour. Portability issue: Often, the larger production units are not very portable and when set up often remain stationary while gravels are hauled to them and waste gravel and rocks moved away It is difficult to carry them to remote areas unless they are towed to the site. The larger production units are also not cheap and may have significant setup costs. Additionally, they require tools, spare parts, gasoline or diesel fuel (in fuel models), batteries, and the like. Since both are used for particle size classification, one might get confused in selecting between trommels and vibrating shaker screens. Vibrating screens may be strongly preferred by the aggregate industry whereas trommels are preferred for placer mining because of their ability to break up and wash gold-bearing gravel, thereby increasing recovery. There are a number of manufacturers that provide a large range of stationary trommel systems; including several of the manufacturers of portable units. Current trommel screen manufacturers include: McCloskey, Doppstadt, Powerscreen, Telsmith, Wildcat (Vermeer), Komptech, Northern Placer, Aureco, Extrac-Tec, Savona and Screen Machine Industries. 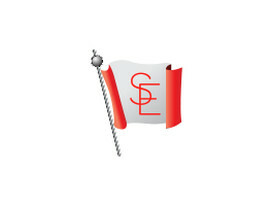 Some of the leading manufacturers among these are Savona, Telsmith, McCloskey, Northern Placer, Aureco, Extrac-Tec. If you have any questions or need assistance in choosing a new trommel according to your requirements, please feel free to contact us. 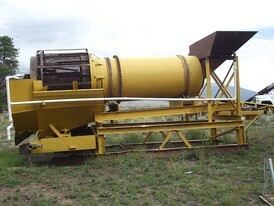 If you are looking for a used trommel screen, please see our selection of the same.